That's perfectly fine, since we never expected to bust ghosts alongside a buddy. 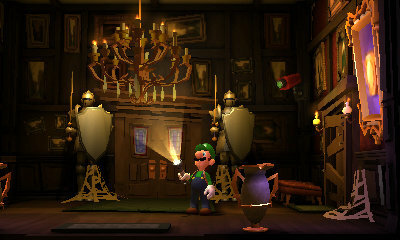 Recently, Nintendo Europe listed Luigi's Mansion 2 as a two-person video game, automatically attracting the collective attention of thousands interested in learning how things would play with a friend along for the ride. Turns out, it was all one huge mistake. Nintendo was quick to respond, laying hopes of co-op play to rest. Seems like much ado about nothing. We never expected Luigi's Mansion 2 to feature multiplayer, and would prefer to go it alone anyway. That said, come on, Nintendo. Finish the game already.